One person generated an economy the size of a small country! To see her speaking about how failure helped her click here. 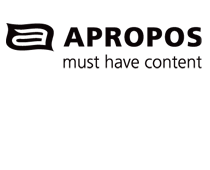 At Apropos we believe in the power of a good story. We spend lots of time finding them. Imagining them. Creating them.